Are you ready to meet the best pretzels ever? yup. show me the good stuff. HAND TWISTED, SCRATCH MADE SOFT PRETZELS. FRESH CUT DELI MEATS AND CHEESES. THE BEST PRETZELS IN THE WORLD. FLOUR, WATER, YEAST, SALT, BROWN SUGAR, BUTTER. 100% all beef hot dog wrapped in pretzel dough. no bs, just awesome. Order delivery during our normal business hours (10a-3p everyday!) through our delivery partner GrubHub. Our party trays, 3oz pretzels, sliders and nuggets are available for pickup or delivery 7 days a week. Just head to our convenient online store and place your order or call us at 717-467-3556. Sure. Pretzel sandwiches, the same thing you’ve sold for your last 10 fundraisers. But here’s the deal...these are good! Here at York City Pretzel Company we’re known for our fresh baked soft pretzels and pretzel sandwiches; now they’re available for your organization’s next fundraising effort. 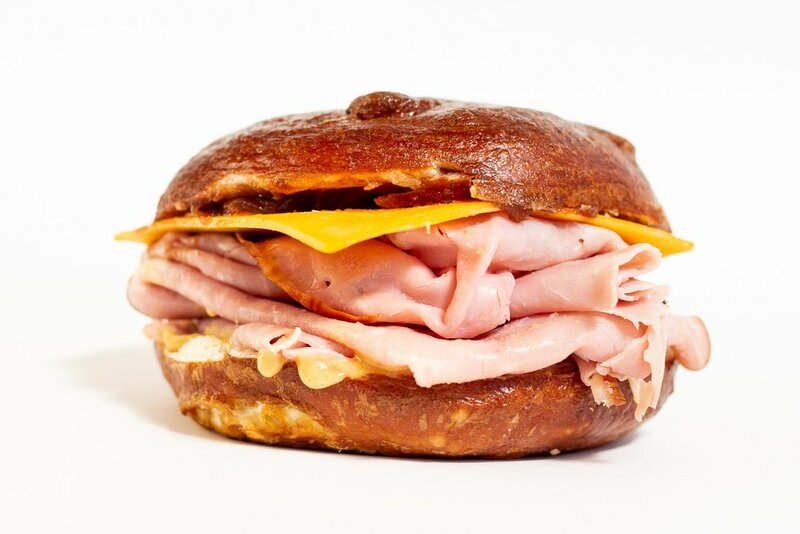 Customize your order to include delicious pretzel sandwiches, soft pretzels and pretzel rolls. We’ll work with you to craft the perfect assortment for your campaign. York City Pretzel Company has always believed in helping the community that’s supported us since we opened our doors. This is an exciting way we can partner with your local school, church or other organization to help raise money for whatever your next step may be. We have a great team of fundraising coordinators that will guide you through the entire process; from determining the length of your fundraiser to arranging delivery they'll help you every step of the way. Did you see where it says delivery up there? Yeah, we do that. Contact us today and we'll get you started on the best tasting fundraiser you've ever had.